From time to time the question arises is this fence mine and who has responsibility for keeping it up? The following are some recommendations and law from Colorado. Colorado law provides every property owner with the legal right but no obligation to fence property. 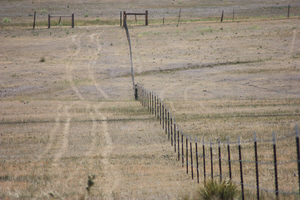 The state’s fencing statute dates to the early 1880s and is referred to as “open range.” The laws specify the legal responsibility of property owners and livestock owners in the state. The fence law is not part of the criminal code. Most violations are handled in civil court. Many of the western states, where livestock have free range for grazing, require property owners to fence livestock out if they don’t want animals on their property. In a “fenced out” situation, it’s the property owner’s responsibility to prove that an animal wandered onto his fenced out property and caused damage. It’s the property owner’s responsibility to notify the animal’s owner, or the appropriate authorities, that stray animals are on his property. While not all states specify the types of fences necessary to fence out animals, typically a three-strand barbed-wire fence is sufficient. It seems logical the purpose of fencing laws is to keep a landowner’s livestock fenced in on his property to protect them. In some states with open range, or fence-out, laws (as in Colorado), the opposite is the case. If you don’t want animals on your property, then it’s your responsibility to build fences to keep them out. That’s not to say the animals can run anywhere. Any landowner wishing to keep livestock from his property is required to construct a “lawful” fence. According to the Colorado Department of Agriculture, the landowner has no legal options for recovering damages to crops or buildings from animals straying onto his land if there is no lawful fence in place. If the landowner has a lawful fence, and livestock breaks through the fence, it is the landowner’s responsibility to prove the fence was adequate before the livestock damaged it. Colorado law defines a lawful fence as at least three barbed wire strands attached to substantial posts set at approximately 20 feet apart. The fence allows other fencing materials to be substituted as efficient as the barbed wire fence and is sufficient to contain ordinary horses and cattle. Gates on the fence must be constructed of similar material and as strong as the rest of the fence. While we aren’t legal fence experts, we can help with planning new fences and better utilizing existing fences. 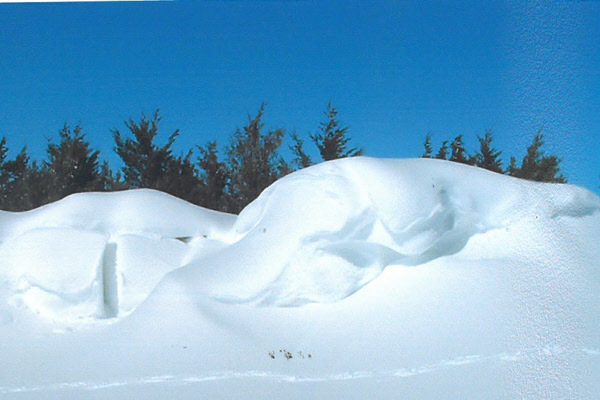 For assistance, contact the NRCS in Simla at 504 Washington St or give us a call at 719-541-2358. Double El Conservation District and Agate Conservation District are located with the NRCS and available to help with your conservation needs. Should I Plant Grass Now?